Spring is finally here and with it comes plenty of pet-friendly camping activities to indulge with your canine buddy. As you look forward to spending some quality time with your pooch out in the wild, here are some useful tips on how to camp with a dog. The blissful whiff of tulips and irises, the nostalgic scent of dogwood and cherry plum or the intimate campfires surrounded with hearty conversations. Nothing beats the amazing memories one makes with those they love when out camping. As you look forward to another camping season this year, there are some good reasons why your pup should tag along. 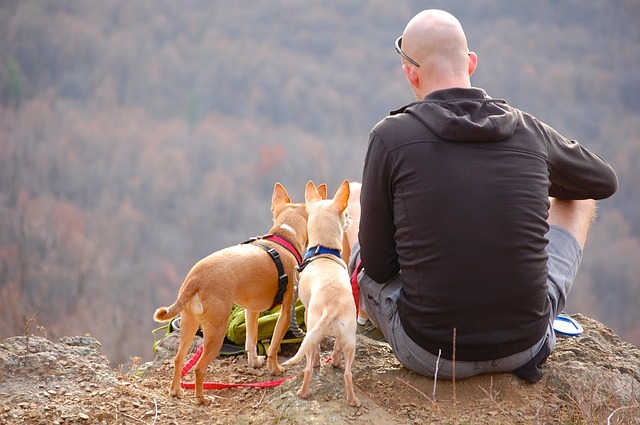 Dog-friendly camping is a great time for bonding with your canine friend. The campsite provides an environment that is totally different from your dog knows. You get to hike the woods or stroll along river streams. You sit together with Russell and watch the sunset on a breathtaking horizon. Since your pup loves to share your home bed, this time he gets to share your tent as well. There are plenty of new sights and smells your dog can explore when out camping. There are plenty of flowers and trees that blossom during spring. The various nature trails unveil other furry animals your dog never knew existed. An evening of adventure could be as simple as dashing around the forest collecting dried wood for the fire. As long as your pup tags behind you, he is happy and contented. Pet-friendly camping presents lots of opportunities for exercising. If you own an energetic breed like a Poodle, Corgi or a Yorkshire Terrier, you understand how intelligent these breeds are. They need their minds constantly stimulated and you can do that through pet exercising. A pet-friendly campsite provides a new environment to challenge your dog’s senses. Once you pitch your tent and that of your dog (in case he snores in his sleep) it is time to embark on your normal routine. Exercise your pup early in the morning when the air is fresh and the environment quiet. Another great time for exercising is in the evening before the sun sets. During the day it can get quite hot and pet exhaustion can kick in early. Dog training is a lot like exercising only that you are focusing on your dog’s cognitive skills. 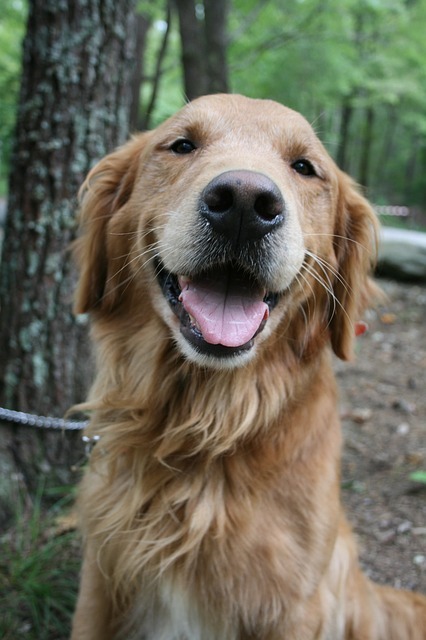 If you are honing your dog’s social skills, the dog-friendly campsite is a great place to do it. He gets a chance to meet another curious canine fellow from a different tent. Since there are a lot of people around, your pup learns how to socialize with other humans beside yourself. A pet campsite provides lots of outside stimuli for your dog. It is an ideal place to teach your dog how to focus when there is plenty of distraction around him. Reward him with a treat each time he does not yield to the people or animals hovering around. Training your dog out in the wild also helps you understand his personality better. You get to know what makes him happy and what irks him. You get to learn new traits in your pooch that are best brought out in a high stimulus environment. Taking your Rottweiler or Doberman with you to the campsite is a source of protection for you and yours. Your pooch becomes your security guard especially in an area you are not familiar with. He will alert you when animals or other creatures lurk too close to your tent. If you also feel uneasy about the other campers around you, your pup’s no-nonsense growl will keep them at bay. A dog is a real sense of protection if you want to sleep soundly through the night. We have covered the reasons why Bingo needs to be on the next camping caravan you organize. Now here are some camping activities for dogs that will get his blood pumping and his camping days made. What cute and cuddly canine does not love a thrilling game of fetch? Now that you are in the woods, fetch has a whole new challenge to it. Replace the normal Frisbee with a piece of stick from the campsite. The forest floor is laden with branches and twigs. It will take a while for your pooch to find the right stick you tossed. Let him give the stick one big whiff before you toss it into the woods. Watch him comb through the bushes as he tries to retrieve it. This is a great way to hone his sense of smell if you are teaching him new tricks. If your pup wants to play fetch at night, use a glow-in-the-dark Frisbee. As you go biking through the forest trails, your canine buddy will love tagging close behind you. Make sure you ride at a pace he can keep up with. Make a few pit stops in the forest for his bathroom breaks or opportunity to sniff at things. If your dog starts showing signs of exhaustion, it is time to turn around and go back. Toy breeds can fit on your bicycle carrier and enjoy the ride with you. For dogs that love to wander off, there are bicycle attachments you can use to control them. Make a list of plants or tree you want to discover before you set out for camping. Dedicate your mornings or evenings into finding all the plants you listed. Of course, Charlie would love to join your newfound escapade. He is equally curious about the forest as you are. He also doubles as your bodyguard when out in the woods alone. A sleeping bag race involves everyone in the family including your canine. You all stand in a line inside your sleeping bags like in a potato sack race. Whoever hops to the finish line first is the winner. Your dog will hop around beside you and cheering you on. If you fall down, you get plenty of encouraging licks on your face. 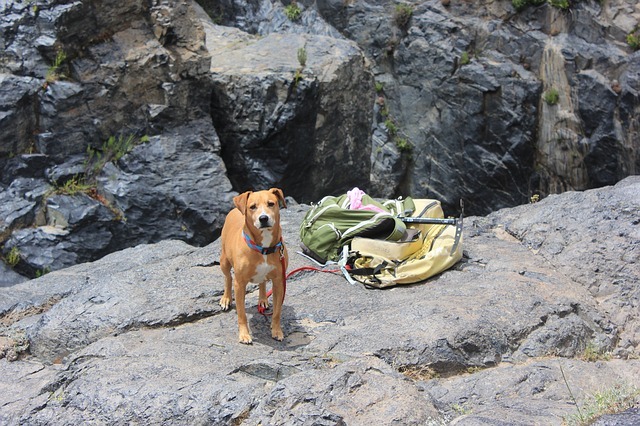 A lot of dog-friendly campsites have rivers, creeks or lakes that are ideal for swimming. When it gets too hot in the day, put on your swimming gear and go take a dip. Your dog will love how the cool waters soothe his coat. Remember dog heat up faster than humans so the occasional dip is good for his health. Going for a job is a great way to keep fit for both you and your pooch. Wake up early and put on your running shoes. Your dog will already be up waiting with excitement. Run through a designated trail probably one marked as safe by camp authorities. A stroll in the evening is great for unwinding and learning more about your natural surroundings. Stick to the trails that are safer and do not wander too far. Make sure you and your pup are back before sunset to set up the campfire. Shadow puppets is a fun game to play at night. Shine your flashlight on the tent wall and start making all sorts of creatures with your hands. Add some funny animal noises for effects. Your pooch will get curious about what’s lurking on the tent walls. He might even lunge at the creatures in a bid to catch them. This is a great game to play with a sibling or spouse in your tent. Bingo may not have a thumb but he does not mind throwing a paw into the game. As the game gets fun and exciting, so does Bingo’s persona. Tickle and rub his belly each time he interferes with the wrestling. He just loves joining in on play time. Start a funny storyline and let someone else continue with their own words. As everyone contributes their own line to the stories, the laughter, and cheers bonds you even more. Let your pup contribute with a few barks of his own. If this will be your first time to camp with your dog, you need to prepare him for the new experience. Remember he has never spent a week or more outside his home. You need to acclimatize him to the camping conditions ahead. These tips should help. Make sure your dog’s vaccinations are up to date. This should protect him in case he encounters a wild animal or fellow dog in the wild. Consult your family vet about the possible health risks your destination site may pose to your dog. This will help you prepare the right medication for him. There will be lots of things to do at the campsite. Your pup needs to be in good shape if he is to keep up with the activities. Take your dog for a routine checkup by a professional vet. It is likely to get hot during the day so you will need tips on how to keep your dog cool. The breed and size of your dog also determine the number of activities it can indulge in a day. Your pup may be gentlemanly at home but a total rascal out in the wild. Illness or an overstimulating environment may make him jumpy or edgy. If you are unsure of how your pooch will behave around people, it is best if you restrained him with a leash. An alternative to a leash is a dog harness which takes the pressure away from his neck. If your dog enjoys sleeping at night, a leash or harness keeps him grounded within your camping perimeter. You do not have to worry about him wandering off to other campsites. If there is a forest near your home, starting walking your dog in it. This will familiarize him with the new natural environment he will encounter at the campsite. Set up a tent in your backyard and spend time in it during the day. Your pup may be hesitant about joining you which should not worry you. In a few days, he will come around and be your best tent buddy. Camping grounds can get really cold and wet especially at night. Carry enough beddings to keep you and your pup warm in the night. Place a plastic covering over the tent floor to prevent moisture from seeping into the beddings. This barrier also helps keep your dog warm in case he decides to sleep on the tent floor. Carry enough food for you and your pet when going out camping. The recommended amount is enough ration that can last two extra days. Bake some tasty doggy treats and store them in an air-tight container. Carry about 10 gallons of drinking water with you. If there are water reservoirs at the campsite, find out if the water is safe for drinking. You and your dog should stay hydrated especially during the day when it gets hot. Do not allow your dog to drink from any lake or stream whose water you do not trust. Anyone including your dog could get hurt while out camping. Having an updated first aid kit can help tend to minor wounds suffered. Go online and search for what items to include in a dog first aid kit. A dog harness with pockets can carry some of the first aid supplies when you go on hikes, trail riding, or morning jogs. Camping with your dog is the best experience you can ever have. It presents an opportunity to bond with your canine friend and also indulge in some pet-friendly camping activities. 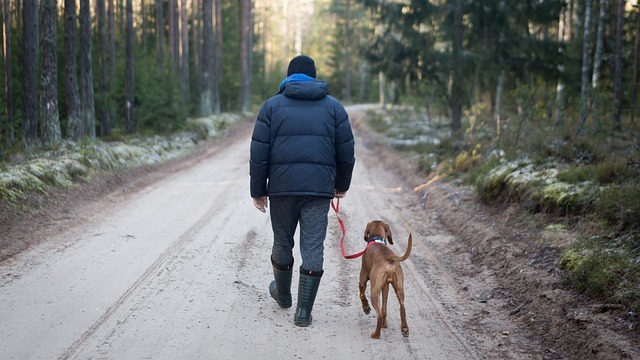 Ensure you prepare in advance for both you and your dog before setting off to camp.